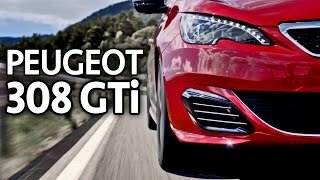 Peugeot 308 HDi 110 hatchback has set a world record for covering 1192 miles on just 60 litres of diesel fuel, which sets the average fuel consumption of 90.75 miles per gallon. The credit goes to John and Helen Taylor for driving the standard Peugeot 308 HDi 110 around the coast of Australia. Check out more details after the jump. No it�s not the World�s strongest man, tallest woman or heaviest baby! 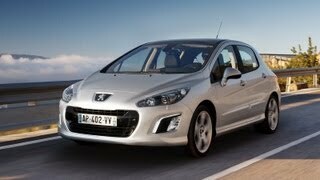 It�s the Peugeot 308 HDi 110, which has just secured its place in the 2009 Guinness Book of Records. Driving around the coast of Australia in a standard Peugeot 308 HDi 110, John and Helen Taylor have set two new world records. The intrepid husband and wife team drove a completely standard Peugeot 308 HDi 110 hatchback on a 25 day, 9,000 mile journey around the coast of Australia. During the record breaking journey they broke two world records by recording an unprecedented 1192 miles on just 60 litres of diesel fuel and an average fuel consumption of 90.75 mpg. The Peugeot 308 HDi 110 hatchback now holds the World Record for both the highest average fuel consumption on a journey, a record previously held by a Peugeot 307 hatchback, and the record for the furthest distance travelled on a full tank of fuel. The Peugeot 308 is available with a range of fuel efficient engines, including the HDi 90 and 110* bhp diesel models which also have CO2 emissions of only 120 g/km. This reduces the vehicle�s excise duty to only �35.00 and with combined fuel consumption of 62.7 mpg also reduces everyday running costs. 71.92 mpg, a 15% increase on its listed fuel economy figure, during the 2007 Fleet World MPG Marathon. The 308 HDi 90 also claimed an economical accolade at the beginning of 2008, travelling 117 miles around London�s Orbital, the M25 on less that �10 of diesel fuel. The record attempt was completed in a standard, Peugeot 308 HDi 110 by John and Helen Taylor in April 2008. It was verified by an independent scrutineer to ensure all the requirements of the Guinness World Records� regulations were met and all stipulations for setting the record were followed. In particular, nothing at all was removed from the car to save weight in order to save fuel. Indeed, along with Helen and John were their two large suitcases with clothes for the entire 25 day trip.